This post was sponsored by HSI Professional. With summer weather right around the corner, we’re all looking for that shimmering, straight hair to show off while tanning poolside or to sparkle while charming a summer fling on a date night. If your hair is filled with too many waves for relaxing summer days, you may be in need of some help to take your hair from a hot mess to masterpiece this coming summer. If you’re feeling down because of frizz and flyaways, HSI Professional could have the solution to summertime straightness for your hair this season! With flat-irons at prices as low as $79.99, HSI Professional provides an affordable way to keep your hair shiny and straight this summer. 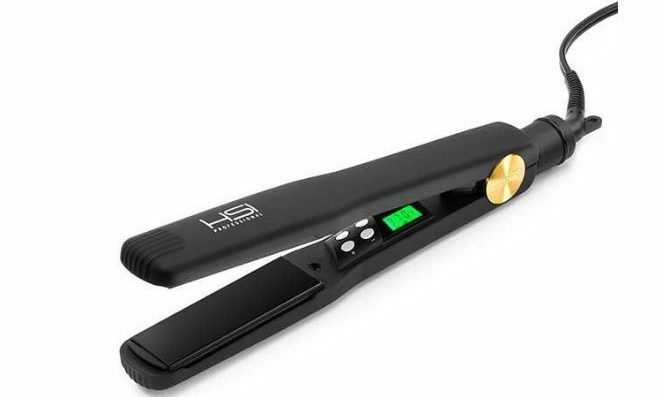 These fabulous flatirons use special micro-sensors to bring balance to the heat on your hair, so you can be sure you won’t need to fry your locks in order to get them smooth and straight. They also feature Tourmaline mineral on the heated plates to seal moisture in at the cuticle and provide a shiny finish to your hair. If you’re still worried about the effect that heat may have on your hair, never fear. HSI Professional is dedicated to making sure your hair stays healthy and has produced a line of argan oil products to take your hair from shiny to superb. Safe and healthy for any hair type, these products add long-lasting shine and smoothness to your hairstyle that will have heads turning all day long. If you’re dying to have hair that brings new meaning to the term summer shine, then don’t delay! Visit hsiprofessional.com to purchase these terrific tools for taking your hair from frumpy to fantastic this summer season!